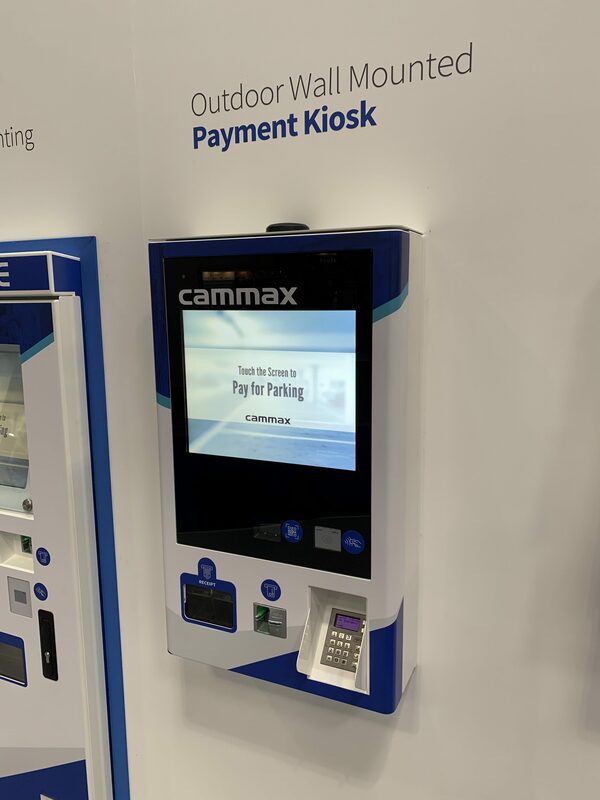 Cammax have publicly unveiled a brand-new parking payment solution at BPA Parkex 2019. The Outdoor wall mounted payment machine joins other popular parking payment models such as the Indoor full service parking payment kiosk and the Free standing blade payment kiosk as Cammax strive to offer parking customers more choice and secure their status as leading innovators in the European parking market. Durable- yet extremely intuitive- the new Outdoor wall mounted payment kiosk is intended to make a big impact despite its compact design and offers many of the same features found in our ultra-modern freestanding models. However, the brand-new Outdoor wall mounted payment kiosk is unique in that it has no visible locks; instead the kiosk is opened electronically via bespoke Cammax software. To keep the kiosk footprint at a minimum, cash is not accepted, and change is not given; the kiosks can take payment via Chip & PIN or contactless card and print a receipt. Cammax offers many innovative types of payment machines to the parking market after recognising that the parking industry needs to offer drivers many alternative ways to pay for their parking, which is dictated by the marketplace and also by the physical and infrastructure requirements within different car parks. For car parks with limited space, or for car park operators who value a reliable outdoor solution, the new Cammax outdoor wall mounted payment kiosk has been expertly developed to protect against the worst the British weather has to throw at it and the machine can even be fully colour-customized to reflect company branding. Over the last few year’s Cammax have worked closely with a number of car park operators, local councils and transport authorities to provide a range of parking and transport solutions to customers. Cammax offers highly bespoke parking payment solutions with a wide range of indoor and outdoor payment machines, from card only to full card and cash payment, with a complete back end management tool to enable full estate and tariff management in real time. The new machine was unveiled at BPA Parkex 2019 to great excitement and industry reaction has been extremely positive so far. Parkex is Europe’s largest dedicated parking event and the best place to discover first-hand the most innovative parking technologies available on the market today. The BPA exhibition is where the sector comes together to find solutions to the latest parking issues, exchange best practice knowledge and hear from the key stakeholders in this rapidly-evolving sector. 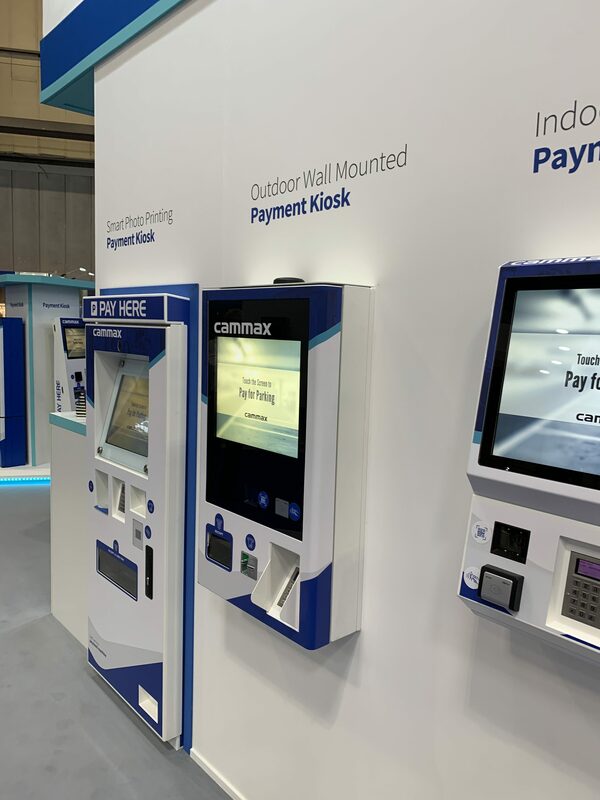 If you would like to find out more information about the new Outdoor wall mounted payment kiosk then please get in touch with a member of the Cammax team today. To view our entire range of parking payment solutions, please visit this page and you will find details of all our parking payment models as well as well as some excellent videos of our kiosk machines in action.